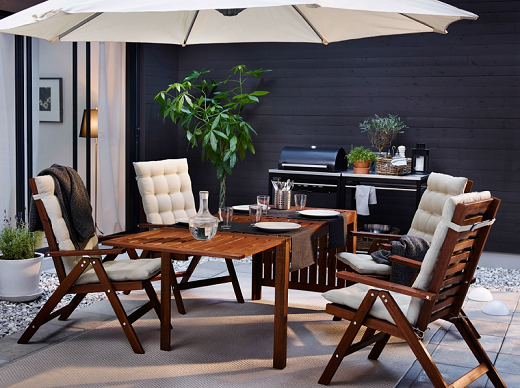 With a wide choice of different styles and sizes, including matching sets of chairs and tables, our outdoor dining furniture helps you create a favourite spot to eat out right there at home. You can choose between artificial materials that need no maintenance or the natural warmth of wood, which only needs a little looking after from time to time. Many activities you can do at the balcony. 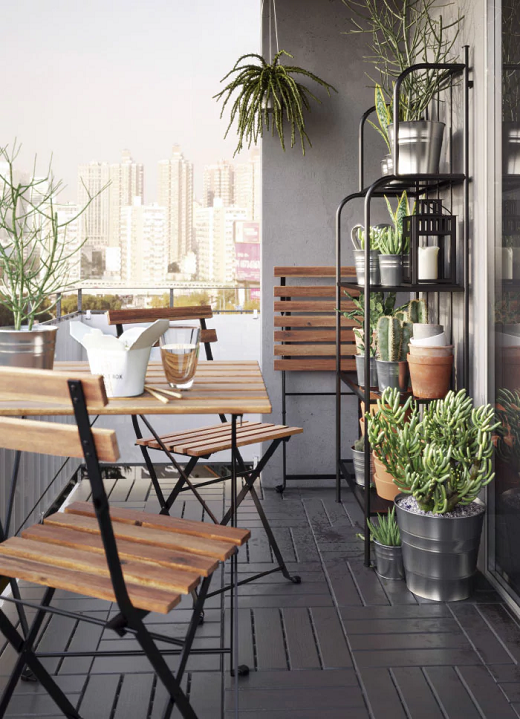 See how this green-thumb family turn their tiny balcony into a mini garden. 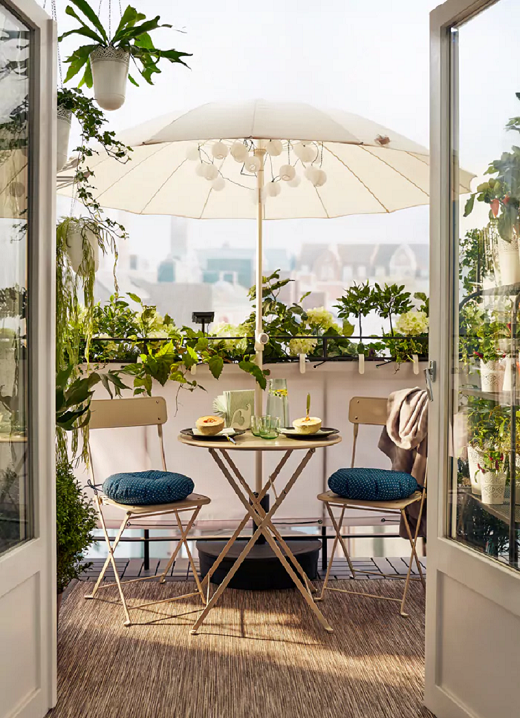 With some potted plants, outdoor table and chairs, and even a parasol, they create a relaxing place to spend their spare time. 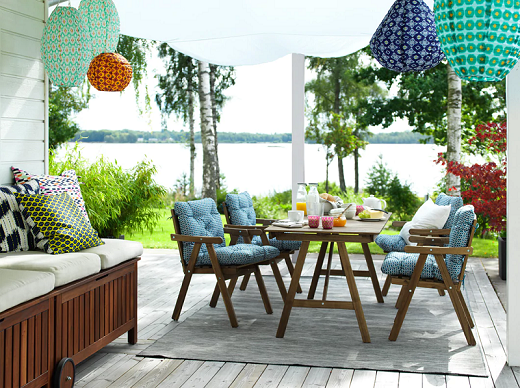 Turn your outdoor area into a picnic spot. 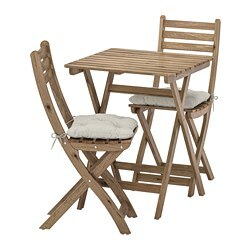 With our wooden table and chairs, you can bring natural ambience to your home. 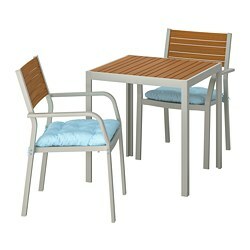 Place cushion on the chair so you can have a cosy seating while enjoying the morning breeze and breakfast. Who says you can not have a pleasant dinner at home? With the right furnishings, you can turn the balcony into a cosy dining area. You can combine simple table and chairs, some potted plants, and decorative lighting as beautiful ornaments. 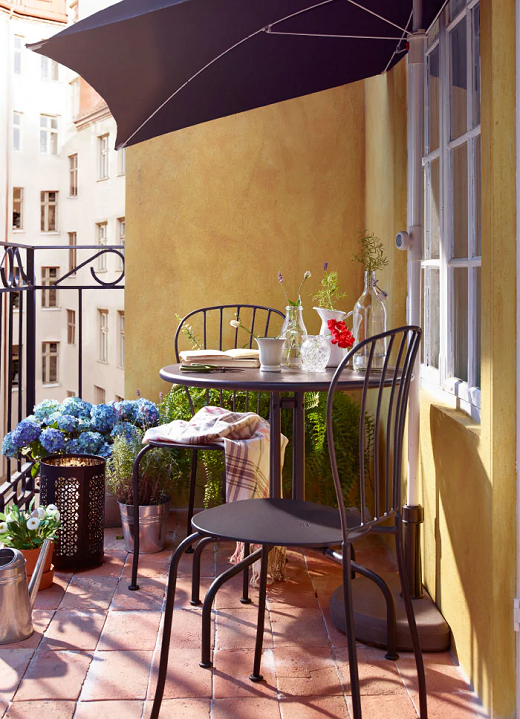 This balcony might look small, but with the right furnishings it can be a elegant place to enjoy tea-time. 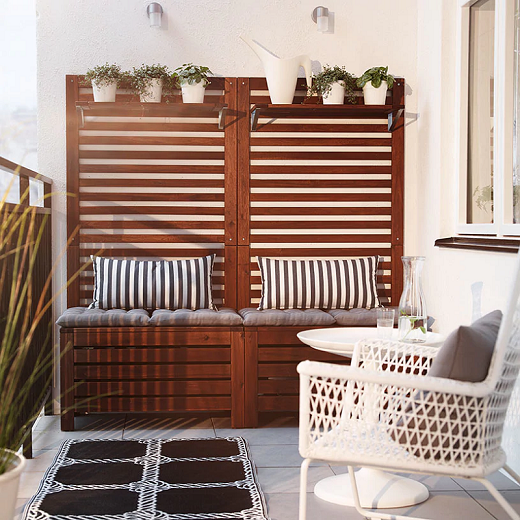 Some complements like hanging planter, parasol and rug will perfect your balcony décor. Have a limited space balcony? Don't worry, we have bench storage with wall panel so you can seat and organise all things at once. Now you have a wider balcony to enjoy the morning view. No matter how tight your balcony, you can still enjoy it. 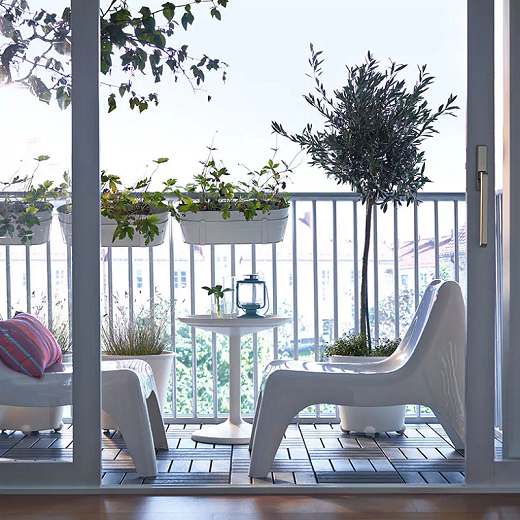 Let's see how they make a cosy balcony with only 2 chairs and some decorative plants. Looking outside and feel the warm sunshine are the easy ways to relieve your stress. 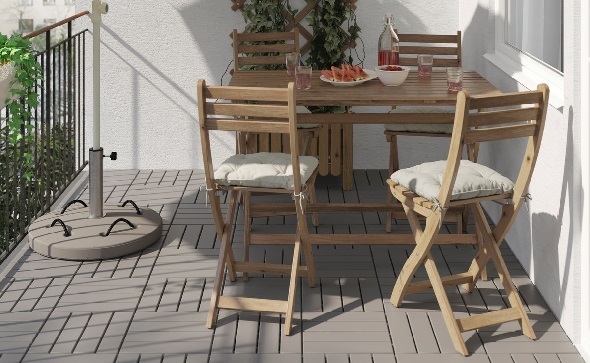 Make your balcony more cosy with our table-chair set and some potted plants. And if the sunshine is too hot, you can use the parasol. Now you have a pleasant space for relaxing. Outdoor area can be the best spot to spend hours. 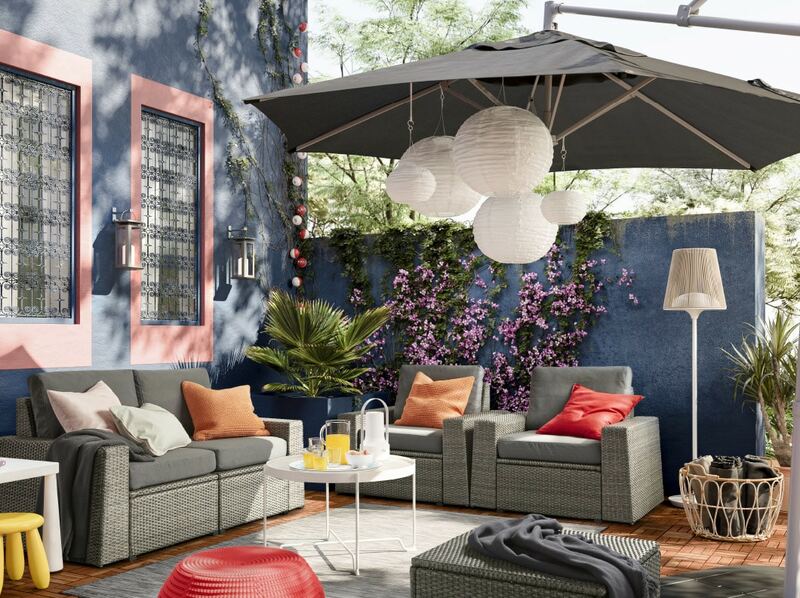 Just add a comfy sofa and put some cushions on it, also a coffee table and parasol, now you ready for long, lazy days and cold drinks with friends. 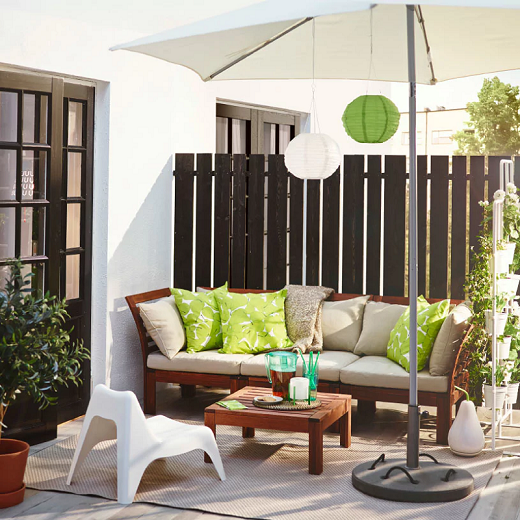 Need some ideas to enhance your outdoor area? 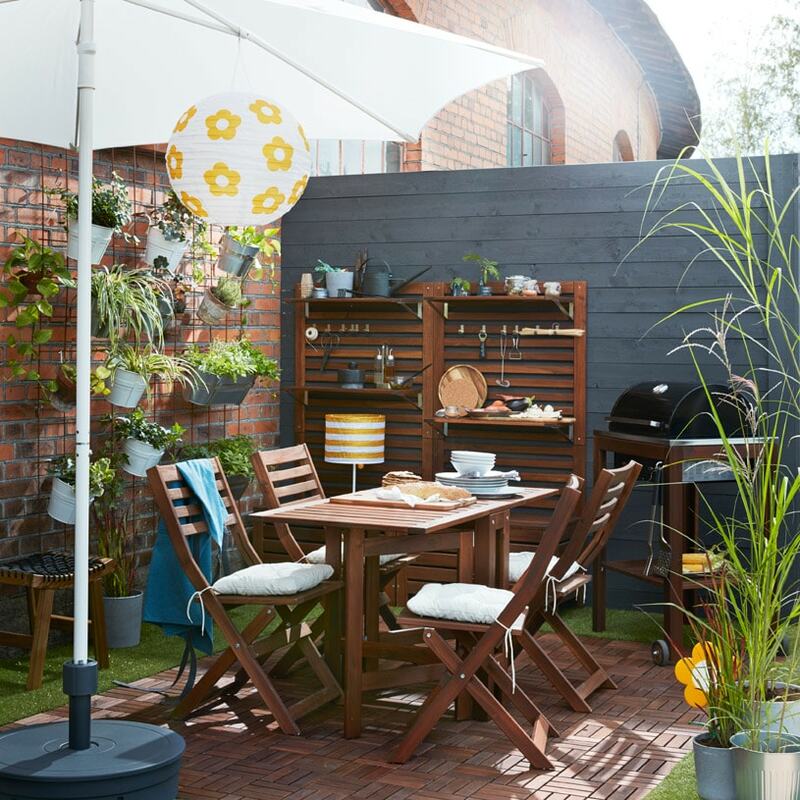 See how this family turn their backyard into a perfect place for barbecue party. With wooden dining set and comfy cushions, their guests will not only enjoy the food but also the warm ambience. 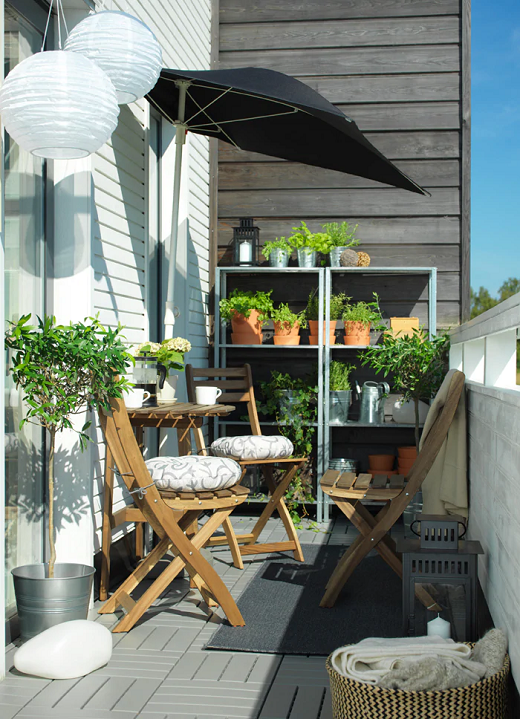 Tight space will not be problem to create a nice balcony. 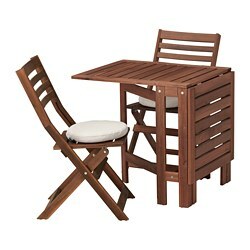 With fold away table and chairs you can save more space. There's a shelf unit to keep potted plants and other things perfectly organised. 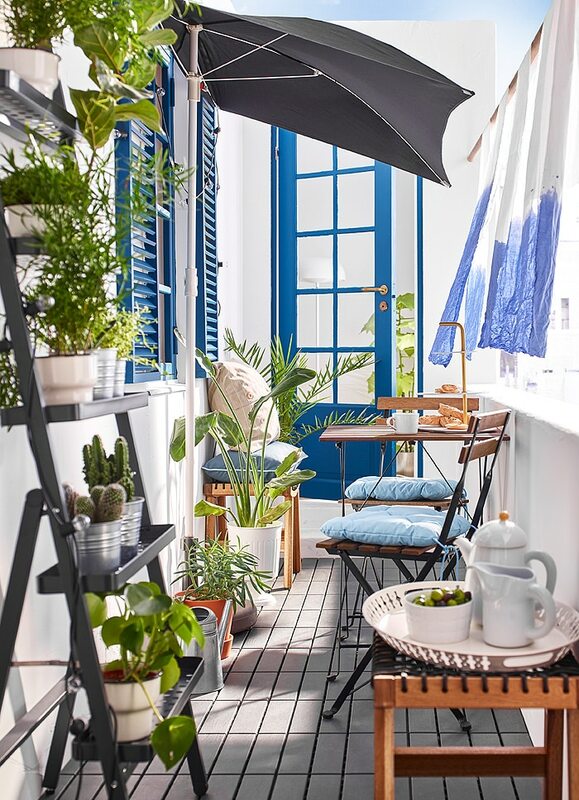 Soak up some sunshine on your balcony, no matter how small! With the right kind of storage, shade and privacy solutions, you’ll be able to rest, relax and recharge the hours away. Don’t have money for your vacation getaway? 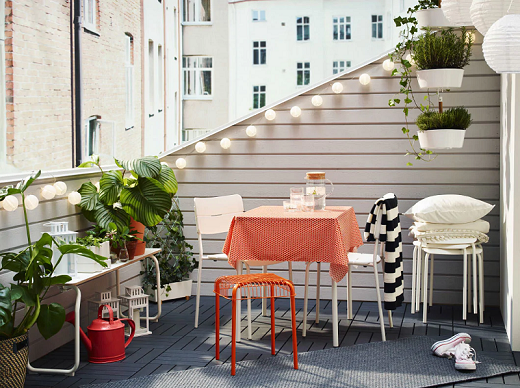 No problem — just decorate your balcony instead, and have your vacation at home! Invite your friends and surround yourself with fun. down. Surround yourself with plants and wood instead, and create an outdoor green space to call your own. 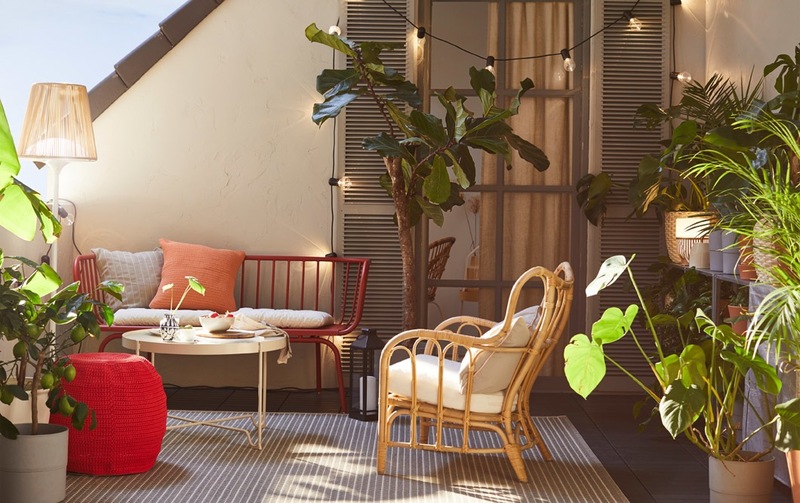 Create an outdoor space the whole family can enjoy. Comfortable seats for the adults, a play area reserved just for the kids, and a parasol that provides shade where you need it. 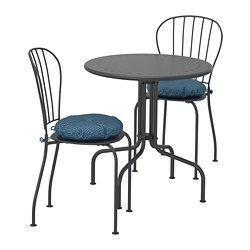 Turn your patio or outdoor area into a second dining room. 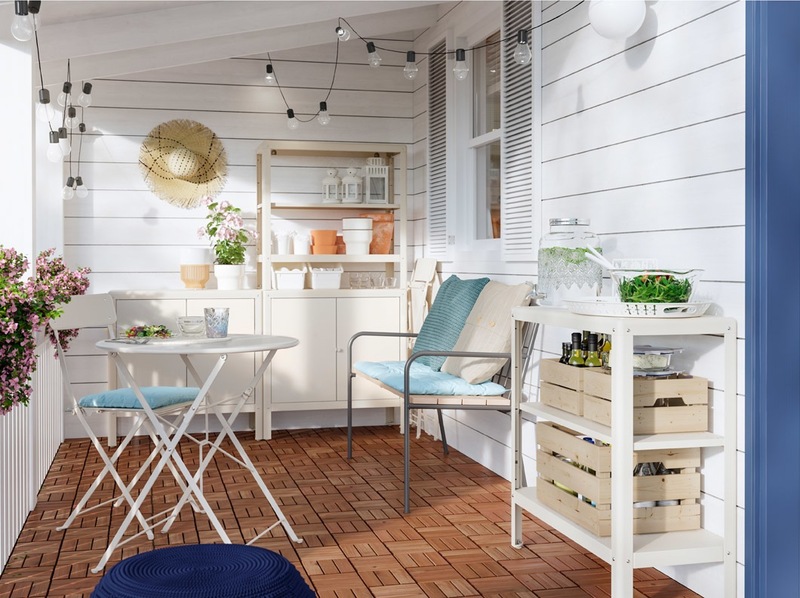 With foldable tables and chairs along with stackable KOLBJÖRN shelving units, you can store both tools and tableware — and still have enough room to spread out and soak up the sun! 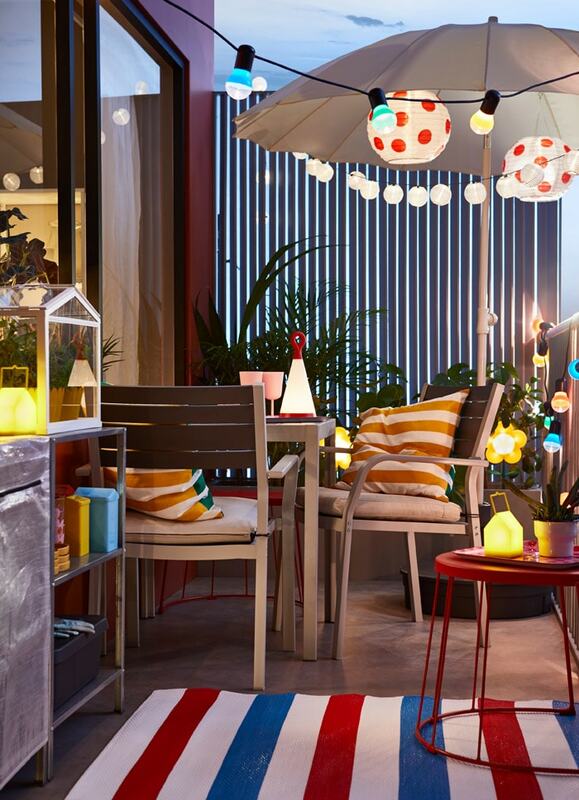 Invite your friends to a real outdoor experience – on your balcony! Greenery combined with comfortable seating and nifty storage solutions make this the number one place to hang out all summer long.